This quartz crystal is from Minas Gerais Brazil. 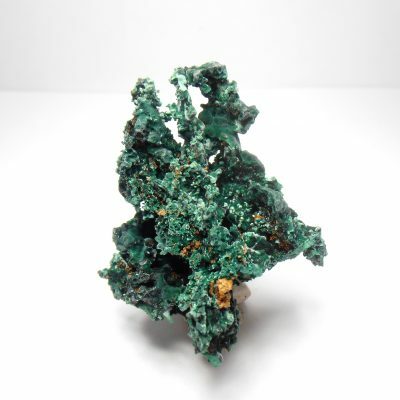 Minas Gerais is a large state that produces a variety of minerals including many types of quartz. 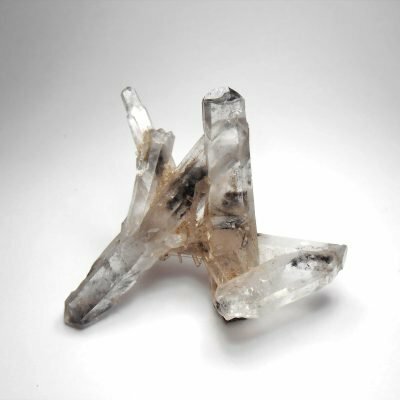 Quartz that contain different mineral inclusions are found in the mines and prospects usually as accessory minerals. 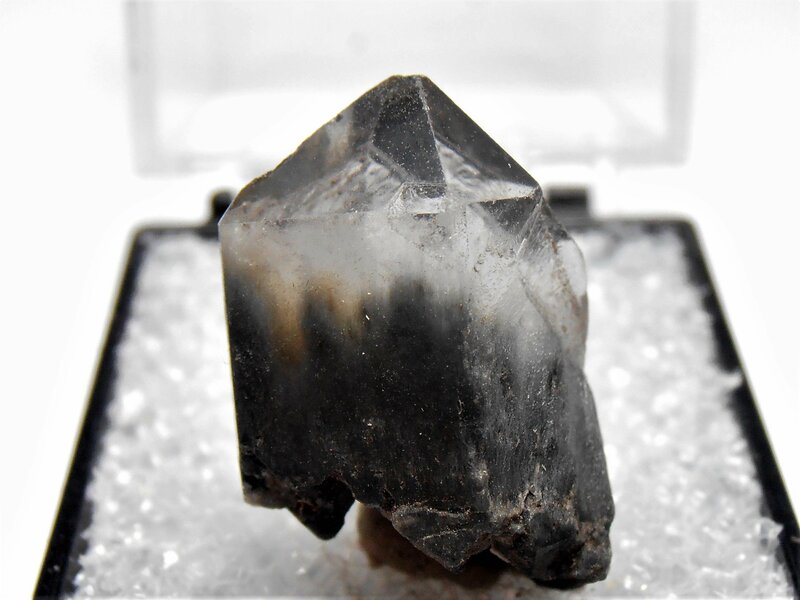 This is an excellent example of a quartz with inclusions of the mineral riebeckite. 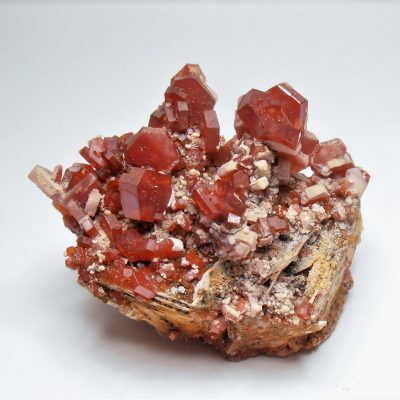 Riebeckite is a silicate that contains the elements Na, Fe, Si, O and H. The crystals inside and at the base of the quartz are fibrous and are in single or acicular bundles. They have a blue-gray color to light gray color. 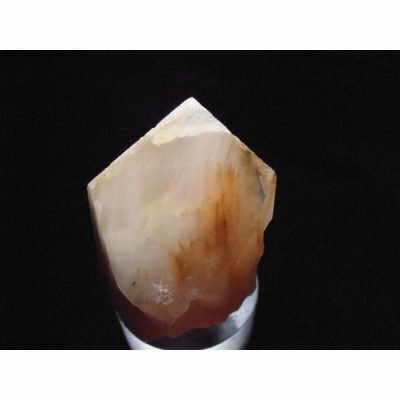 This quartz crystal measures 7/8 x 5/8 x 1/2 inches or 22 x 16 x 12 mm.